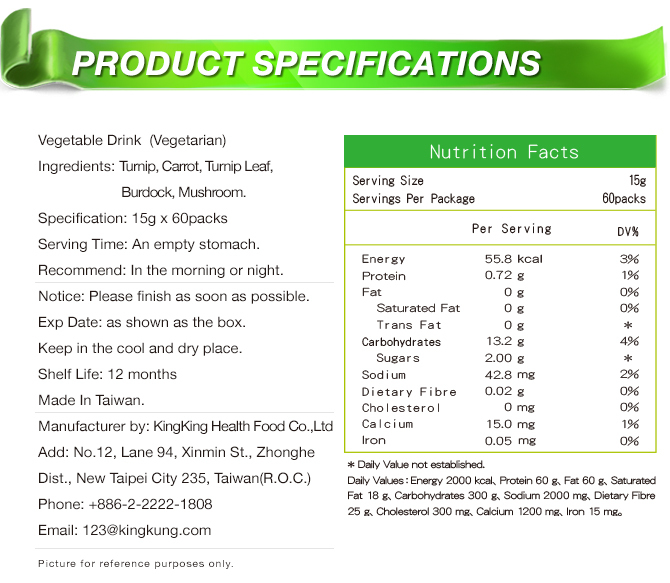 Ingredients Turnip, Carrot, Turnip Leaf, Burdock, Mushroom. 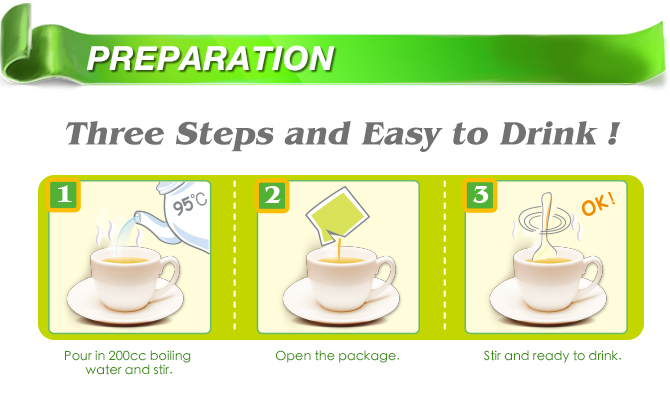 Preparation » Hot Drink：Pour in 200cc of boiling water. Stir and ready to drink. Notice To be stored in a dry and cool place. Exp Date As shown on the box. 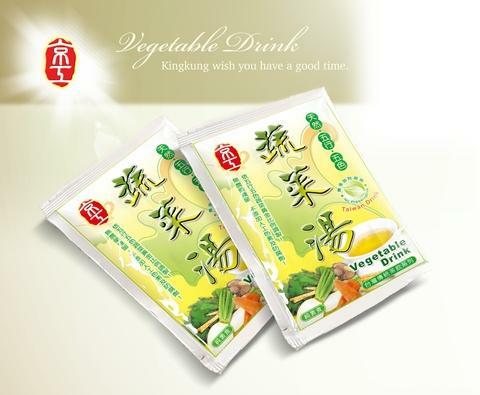 Vegetable Drink is packed with five types of vegetables that were stewed under low heat, then vacuum packed for freshness and to retain their nutritional values and micro-molecules. 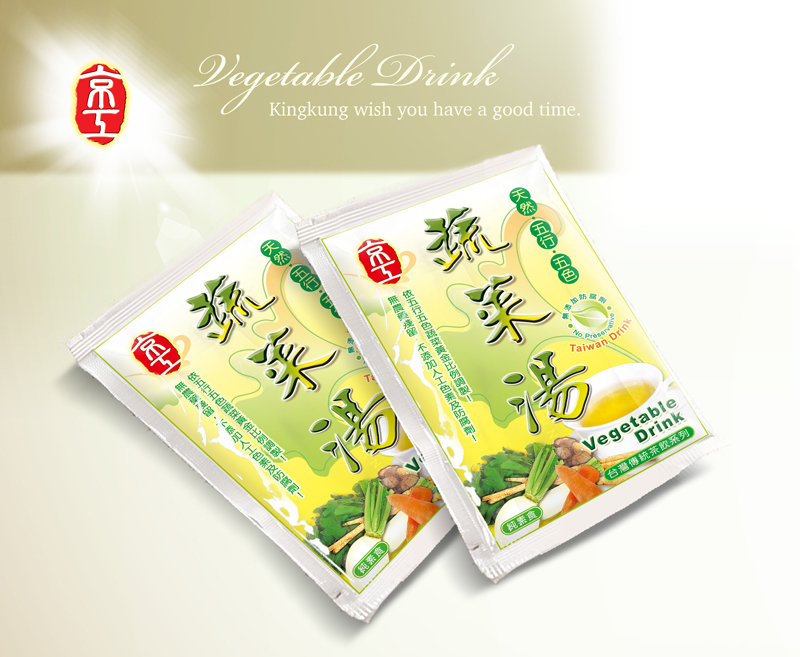 Vegetable Drink is the concept of the five elements: wood, fire, earth, metal, and water. Originally this concept was created by a Japanese cytologist, using green, red, yellow, white, and black-colored vegetables. 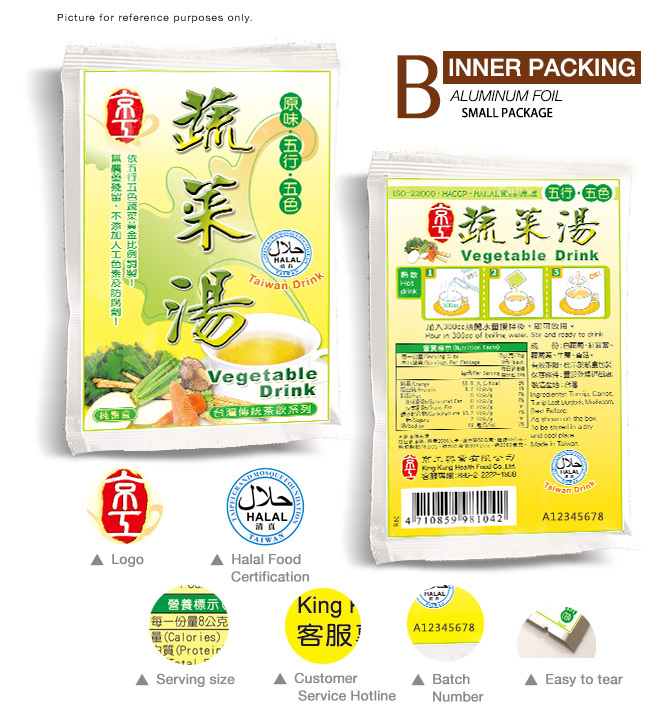 The product was developed with a deep belief in channeling the nutrition balance of these five elements to strengthen the five major organs in humans, hoping to achieve nutritional and physiological equilibrium. 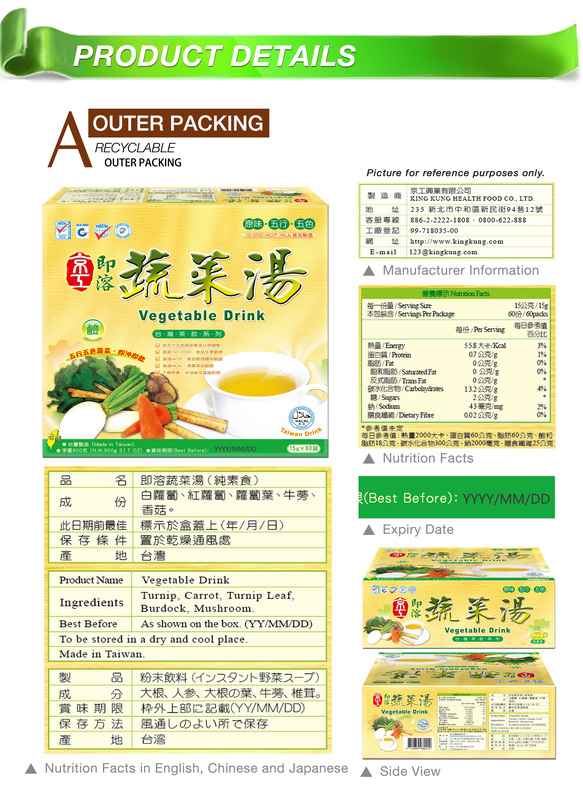 ※Ingredients: Turnip, Carrot, Turnip Leaf, Burdock and Mushroom. 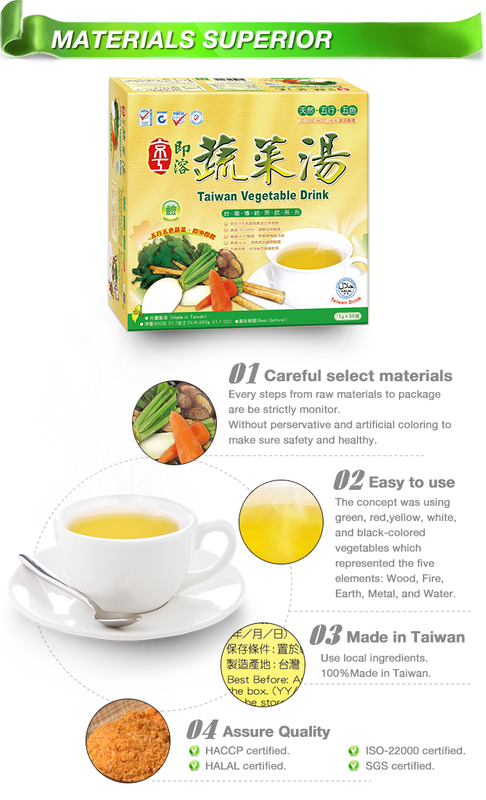 ※Directions: 15g add 200cc of boiling water, stir and ready to drink. ※Best time to drink: Drink on an empty stomach. Best 1 hour before or after a meal in morning and evening. V. Use natural ingredients. No pesticides, preservatives or any artificial agents. 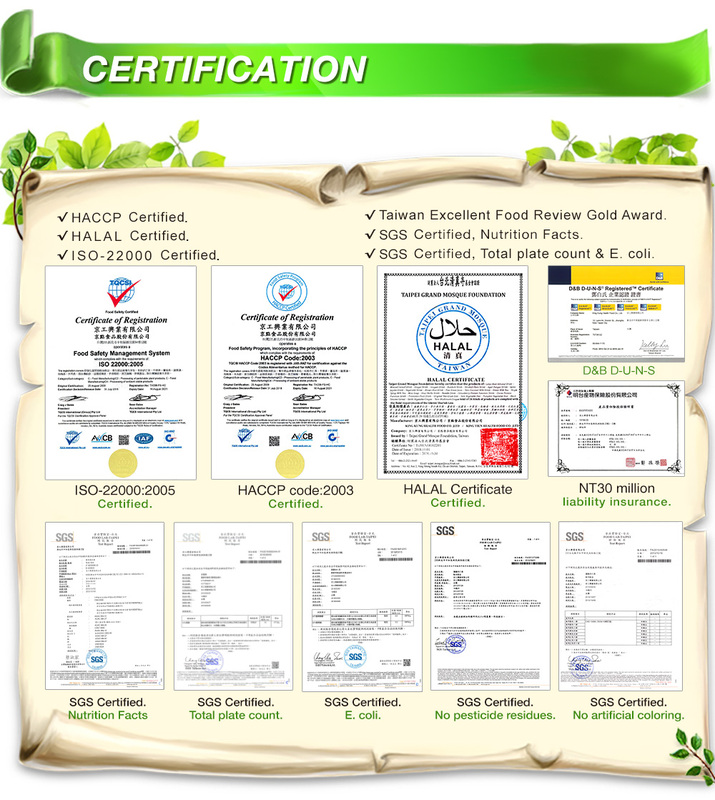 V. Test done in HACCP. Free from melamine, insecticides, E. Coli, and other microorganisms. V. Test done in ISO22000. Our production processes conform to international standard. V. Test done in SGS. Free from E. Coli. 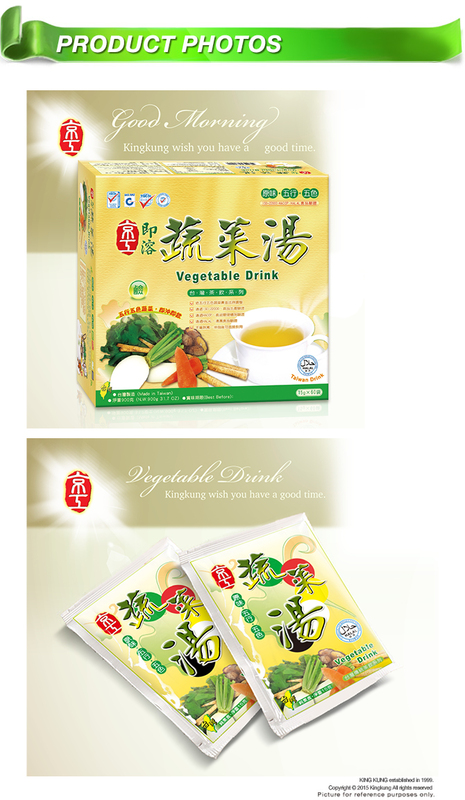 V. Contain natural dietary fiber, calcium and iron. No cholesterol. V. Need not to boil, just add hot water. V. Vegetarian. 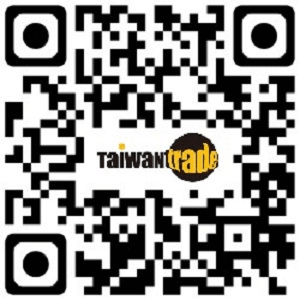 100% made in Taiwan. 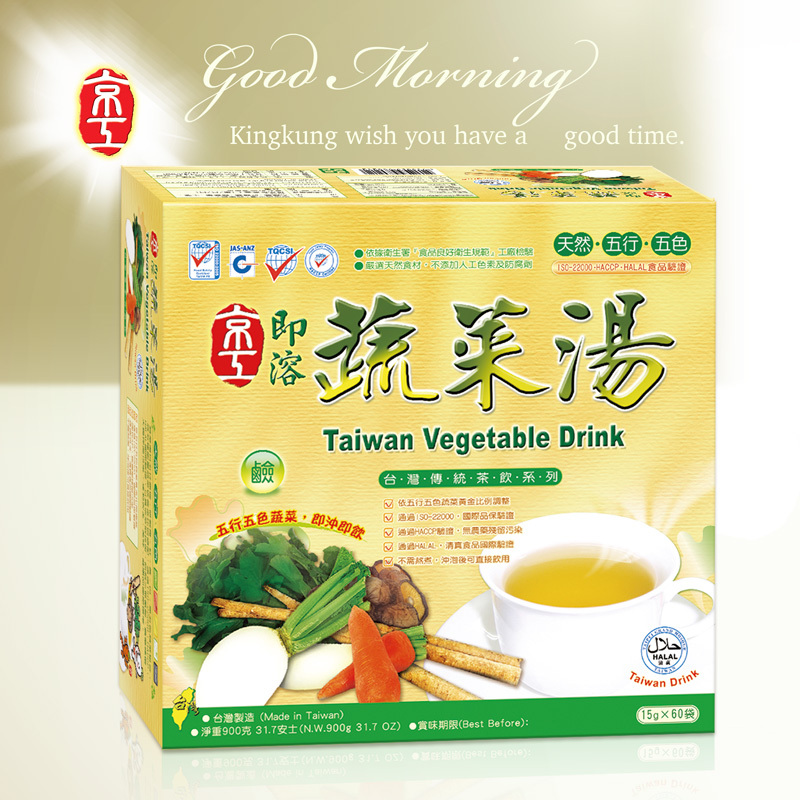 Mr.Thomas Yu , KING KUNG HEALTH FOOD CO.,LTD.